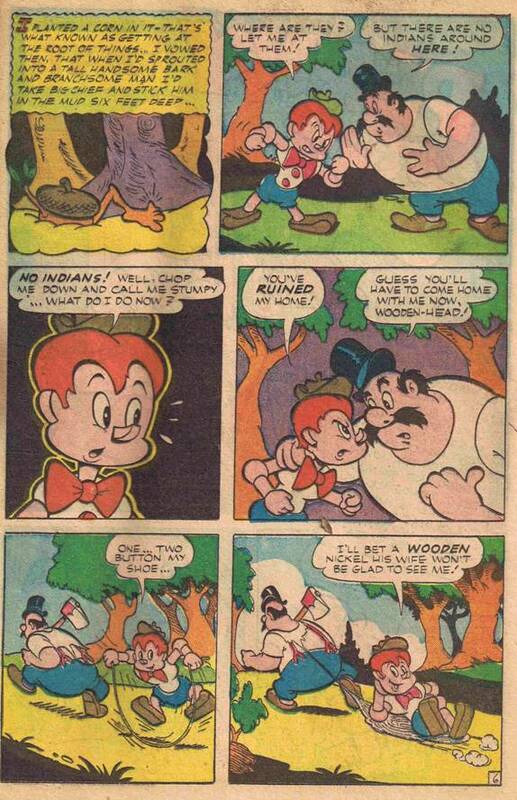 Wacky Wooden Indians Whack Wood! To my one fan out there, sorry about the delay between updates. To the rest of you (yeah, I’m an optimist), here’s the latest update. Warning, this entry is wrought full of disturbing imagery and awkward situations that those of you who are squeamish or faint of heart should leave now. For the rest of you, scroll down, but don’t say I didn’t warn you! 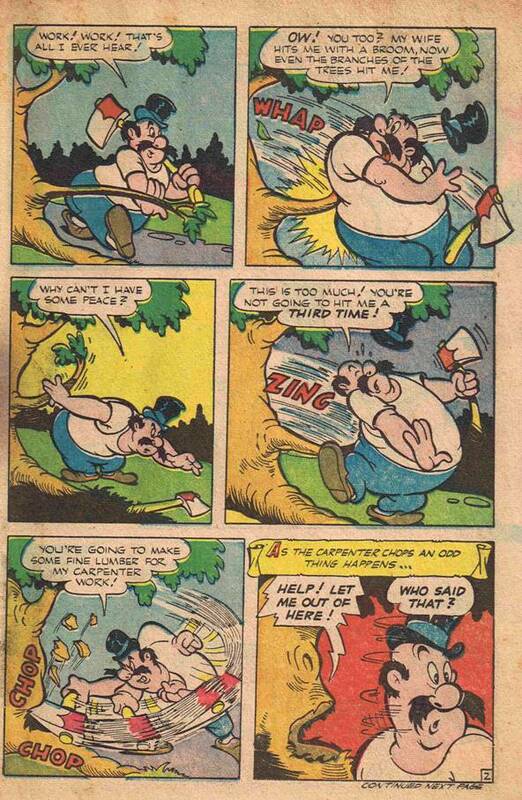 The Golden Age of comics was wrought with many experimental endeavors, and our newest entry is one of those. At first it may seem like an interesting idea. Children enjoy watching puppets. 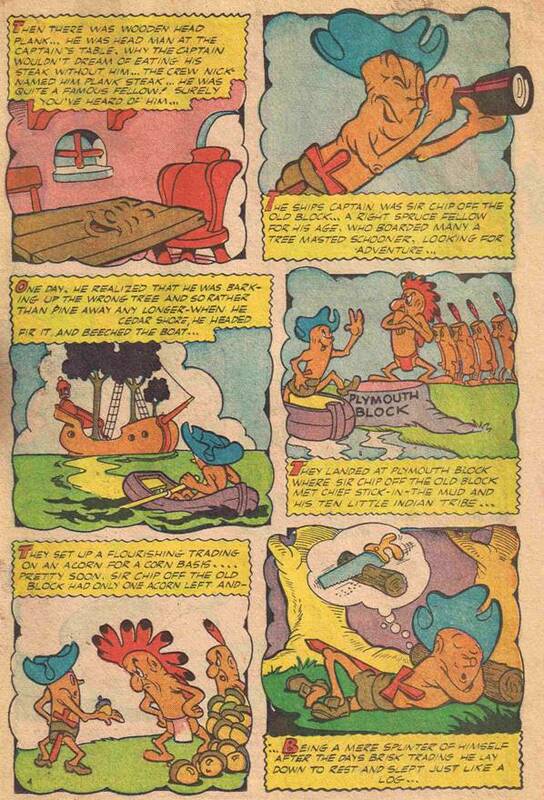 Children also enjoy reading comic books. So why not combine the two? Heck, Howdy Doody could do it. 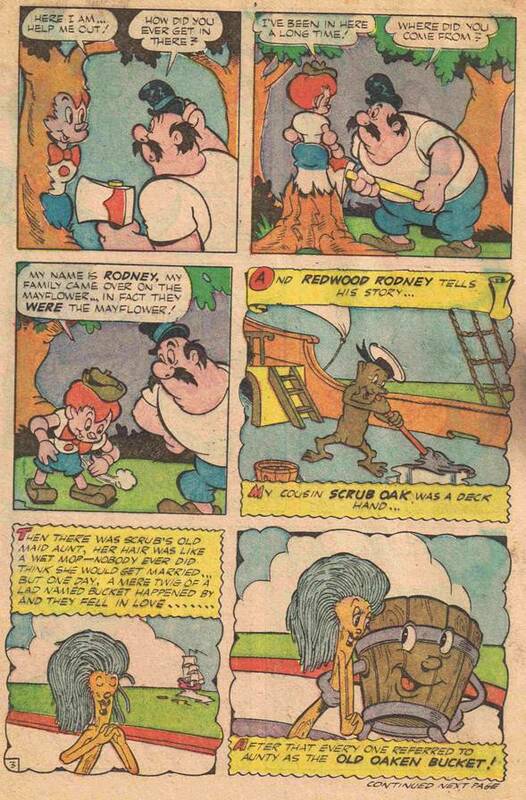 They had Raggedy Ann in a long running comic series too. Surely a book devoted solely to puppets could do no wrong? If you were a young kid, wouldn’t this cover just scream to be picked up? And isn’t it refreshing to see a boy puppet show his true feelings towards the monkey puppet? Sadly these are all marionettes, no hand puppets can be seen. Call me a racist if you will, but I could never condone a mop-bucket marriage. Sure, they seem made for each other, but you just know the mop’s going to leave the bucket once in a while for a wild ride in the hands of some stranger, and the bucket just deserves better. Especially in this case when the mop has OBVIOUSLY been playing around. 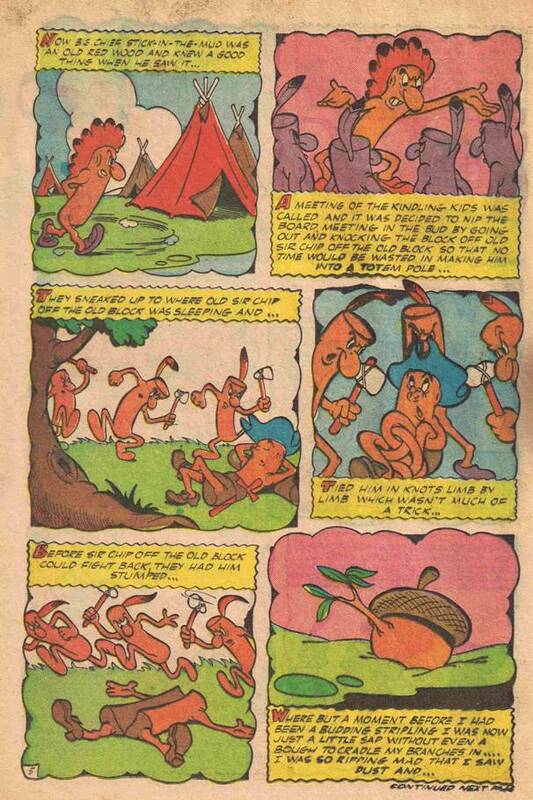 I mean, what the heck is Cousin Scrub Oak doing to her in panel 4? Scrubbing the deck indeed! I’m a little disturbed at how quickly the old man asked the young (puppet) boy to go home with him. 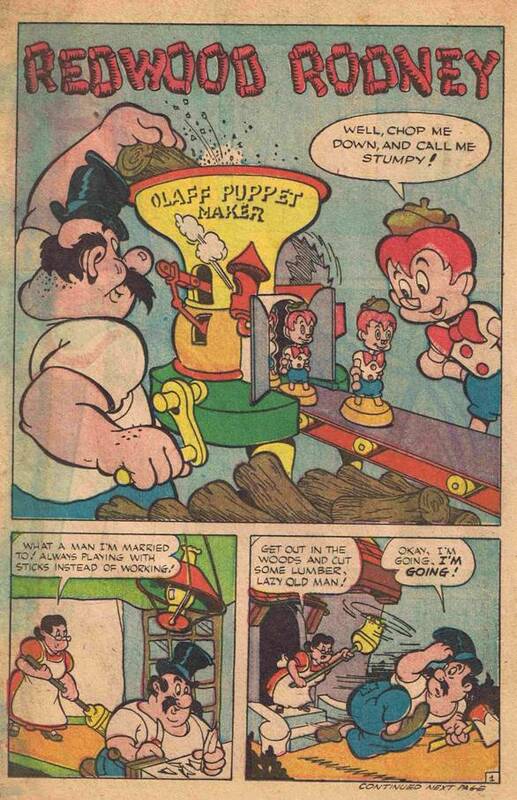 And the puppet doesn’t seem to mind that the old man has a giant axe. Makes you wonder what goes down, doesn’t it? 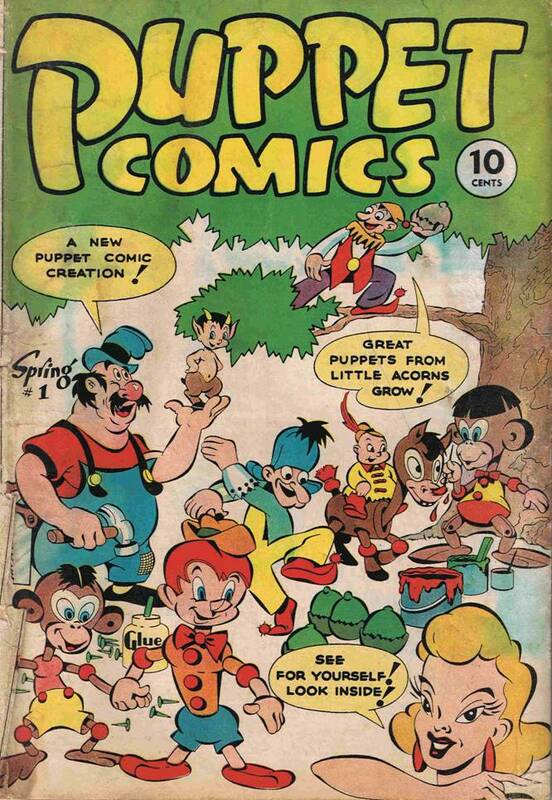 Well, while there was a Puppet Comics #2, sadly that was the final issue of this series, and Rodney and his puppet pals went back to the puppet hell they were spawned from. Oddly enough the next panel Supergirl says that she felt bad about what she just did. M’kay.